On Course: A Week-by-Week Guide to Your First Semester of College Teaching (Harvard UP, 2008), offers exactly what it promises: a guidebook for new college teachers at every type of institution (from community colleges to the research universities), and in every type of teaching situation (graduate student teachers, adjuncts, new faculty, etc.). The book is grounded in research on learning theory, but focuses on the practical challenges that every new teacher will face in planning and executing that first college course. Harvard University Press made a lovely promotional video for the book; have a look if you have three minutes and would like to learn a little more. In November of 2014, a Chinese translation of On Course was published by a Chinese university press. By the way, just so you don't have to ask: no, that's not me on the cover. 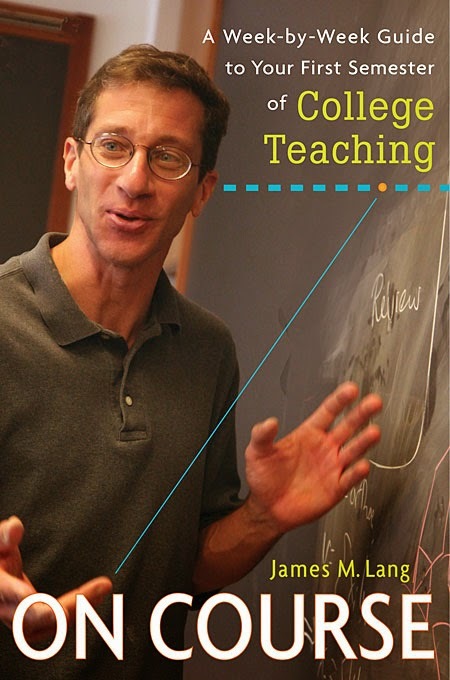 "If you are looking for a [college teaching] job, get a head start by buying and reading this book. If you already have one, your teaching still stands to gain much from it." I am not a big reader (my brain is often so exhausted from reading academic papers that I, sadly enough, rarely read books), but I actually read this entire book from cover to cover in a very short time. Very well written! A very engaging & informative read! Thank you so much for writing this book! !